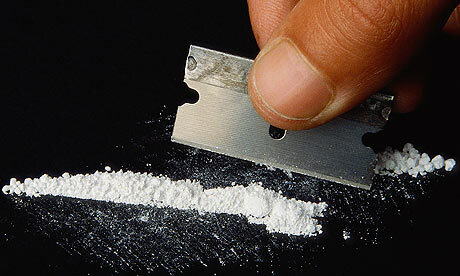 Chronic cocaine use may reduce the body’s ability to store fat, new research from the University of Cambridge suggests. The scientists found that cocaine use may cause profound metabolic changes which can result in dramatic weight gain during recovery, a distressing phenomenon that can lead to relapse. It was previously widely believed that cocaine suppresses the appetite and that the problematic weight gain during rehabilitation was a result of patients substituting food for drugs. Dr Karen Ersche, from the Behavioural and Clinical Neuroscience Institute at the University of Cambridge, said: “Our findings challenge the widely held assumptions that cocaine use leads to weight loss through appetite suppression. Rather, they suggest a profound metabolic alteration that needs to be taken into account during treatment. Led by Dr Ersche, the researchers scanned over sixty men to evaluate body composition, diets and eating behaviours. Half of the men in the sample had a dependency on cocaine while the other half had no personal or family history of drug abuse. They also measured the volunteers’ leptin, a hormone which plays an important role in regulating appetite and energy use. The researchers discovered that cocaine users expressed a preference for fatty foods and carbohydrates and also had patterns of uncontrolled eating. Yet, despite cocaine users’ fatty diets they often experienced weight loss, and their body fat was significantly reduced compared to the control group. Levels of the hormone leptin were also low in cocaine users and were associated with the duration of the user’s stimulant use. A decrease in plasma leptin together with a high fat diet suggests an impaired energy balance, which typically leads to weight gain rather than weight loss. The results suggest that overeating in regular users of cocaine pre-dates the recovery process, this effect being disguised by a lack of weight gain. As a result, when cocaine users in recovery discontinue using cocaine but continue consuming their high fat diets - now without the effects of cocaine on their metabolism - they gain weight. Dr Ersche said: “We were surprised how little body fat the cocaine users had in light of their reported consumption of fatty food. It seems that regular cocaine abuse directly interferes with metabolic processes and thereby reduces body fat. This imbalance between fat intake and fat storage may also explain why these individuals gain so much weight when they stop using cocaine. The research was published in the journal Appetite. Dr Ersche and her team will next investigate more closely the underlying factors contributing to the marked weight gain in abstinent cocaine-dependent individuals to develop interventions to better support drug users in recovery. This work was funded by the Medical Research Council and received institutional funds from the Behavioural and Clinical Neuroscience Institute (BCNI), which is jointly funded by the Medical Research Council and the Wellcome Trust. 2. For almost 100 years the Medical Research Council has improved the health of people in the UK and around the world by supporting the highest quality science. The MRC invests in world-class scientists. It has produced 29 Nobel Prize winners and sustains a flourishing environment for internationally recognised research. The MRC focuses on making an impact and provides the financial muscle and scientific expertise behind medical breakthroughs, including one of the first antibiotics penicillin, the structure of DNA and the lethal link between smoking and cancer. Today MRC funded scientists tackle research into the major health challenges of the 21st century. 3. The Wellcome Trust is a global charitable foundation dedicated to achieving extraordinary improvements in human and animal health. It supports the brightest minds in biomedical research and the medical humanities. The Trust’s breadth of support includes public engagement, education and the application of research to improve health.